I have always tried my level best to write about all kinds of paranormal remedies, Totke, Yantras, Mantras and Charms, which are believed to be effective in increasing domestic peace and harmony among the members of a family, including the husband and wife. 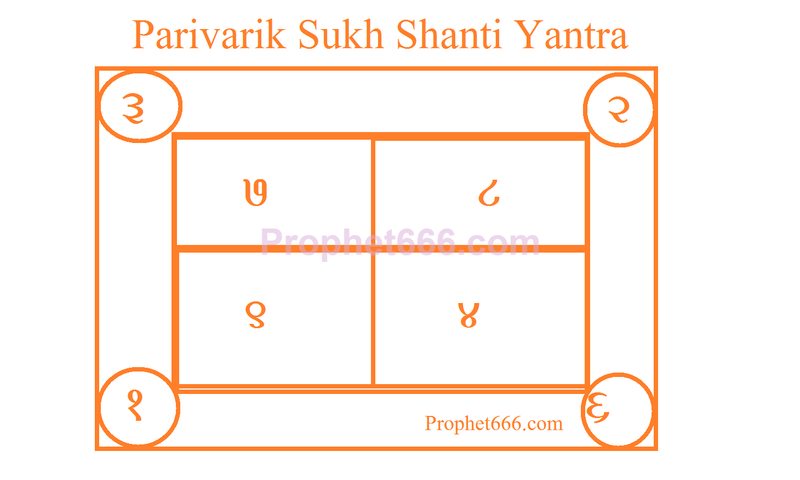 In this post, I have described a Parivarik Sukh Shanti Yantra Experiment, which is believed to greatly increase domestic peace, harmony and tranquility in the home of the practitioner. 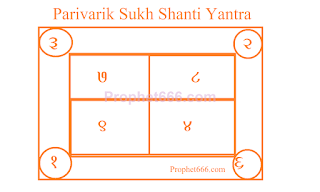 The Tantra is a most simple one, the practitioner has to prepare 101 Yantras, like the one shown by me in the image on a piece of white paper or Bhojpatra every day and then worship the 101 prepared Yantra together with offerings of Dhoop and Diys. After this, he has to immerse all the 101 Yantras toheather in the flowing water of a river, sea or a canal. The same Yantra Prayoga should be continued every day until the practitioner has immersed 5000 such Yantras, which concludes this experiment.